We develop various kinds of software and website solutions. Developing effective software solutions for your business. Our products can be used by all types of businesses, it is not industry specific. A product that is well documented for your employees to update and manage records . Our products are easy to use and can be easily handled by anyone who knows a little about computers. We develop optimized product solutions to ensure lighting fast user experience. ENEFINDER: We have developed Enefinder as a global platform for brand positioning of Industrial electrical, electronics and automation products and services. It is a boon for all manufactures looking to sell their products, they can easily upload the product details here. 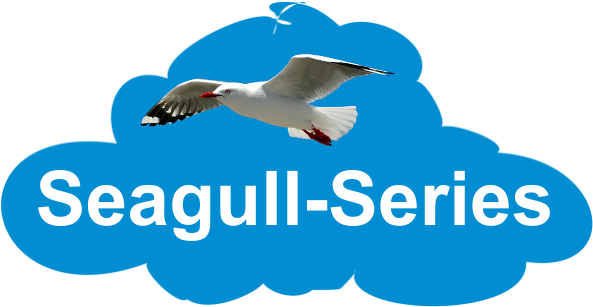 We have developed Seagull Series, a range of software tools for business monitoring. The features are extremely essential for different kinds of businesses and interface very user friendly. These softwares are very flexible, scalable and can be customised to users’ requirements. No need of separate data-feeding. Seagull-Projects developed by us is another product of VITS which is very useful for people undertaking different kinds of projects. It helps user understand and monitor status of various projects. The Seagull-Service which is a tool to monitor, record, attend and analyse product complaints from field.This ensures timely complaints redressal and product failure analysis. The Seagull BillMaster developed is a very detailed & sophisticated ERP that is cost effective for small businesses. It is an affordable option to maintain your business information and billing transactions. The Seagull-Sales developed by our team, is a product which addresses the need of travelling sales personnel for reporting while on the move, for monitoring customers developments, and also efficient follow up of leads, enquiries, offers etc. The Seagull-Taskmaster is is an Automated Timesheet Management system for various tasks and projects of clients and employees working on them. Seagull-Enterprise is an ERP solution developed for various company processes. Through this product you can streamline all your processes and ensure speed and efficiency in day to day task with accuracy. Seagull-Inventory is the Inventory Management Software which is a very essential tool to monitor the stock/inventory receipts and issues as well as stock levels, with alerts for minimum and maximum levels.